Digital rights management (DRM) is an umbrella term that refers to access control technologies used by publishers and copyright holders to limit usage of digital media or devices. It may also refer to restrictions associated with specific instances of digital works or devices. DRM overlaps with software copy protection to some extent, however the term "DRM" is usually applied to creative media (music, films, etc.) whereas the term "copy protection" tends to refer to copy protection mechanisms in computer software. Digital rights management has and is being used by content provider companies such as Sony, Apple Inc., Microsoft and the BBC. Many online music stores employ DRM to restrict usage of music purchased and downloaded online. There are many options for consumers buying digital music over the internet, in terms of both stores and purchase options. The iTunes Store, run by Apple Inc., allows users to purchase a track online for $.99 US. The tracks purchased use Apple's FairPlay DRM system. Starting on October 17, 2007, users can download DRM-free music for the same price as a file with DRM. Napster music store, which offers a subscription-based approach to DRM alongside permanent purchases. Users of the subscription service can download and stream an unlimited amount of music encoded to Windows Media Audio (WMA) while subscribed to the service. But as soon as the user misses a payment, the service renders all of the downloaded music unusable. Napster also charges users who wish to use the music on their portable device an additional $5 per month. Furthermore, Napster requires users to pay an additional $0.99 per track to burn it to CD or listen to it after the subscription expires. Songs bought through Napster can be played on players carrying the Microsoft PlaysForSure logo (which, notably, do not include iPods or even Microsoft's own Zune). Wal-Mart Music Downloads, another online music download store, charges $0.94 per track for all non-sale downloads. All Wal-Mart Music Downloads are able to be played on any Windows PlaysForSure marked product. The music does play on the SanDisk's Sansa mp3 player, for example, but must be copied to the player's internal memory. It can not be played through the player's microSD card slot, which is a problem that many users of the mp3 player experience. Sony operated an online music download service called "Connect" which used Sony's proprietary OpenMG DRM technology. Music downloaded from this store (usually via Sony's SonicStage software) was only playable on computers running Windows and Sony hardware (including the PSP). The various services are currently not interoperable, though those that use the same DRM system (for instance the several Windows Media DRM format stores, including Napster) all provide songs that can be played side-by-side through the same player program. Almost all stores require client software of some sort to be downloaded, and some also need plug-ins. Several colleges and universities, such as Rensselaer Polytechnic Institute, have made arrangements with assorted Internet music suppliers to provide access (typically DRM-restricted) to music files for their students, to less than universal popularity, sometimes making payments from student activity fee funds. One of the problems is that the music becomes unplayable after leaving school unless the student continues to pay individually. Another is that few of these vendors are compatible with the most common portable music player, the Apple iPod. The Gowers Review of Intellectual Property (to HMG in the UK; 141 pages, 40+ specific recommendations) has taken note of the incompatibilities, and suggests (Recommendations 8 -- 12) that there be explicit fair dealing exceptions to copyright allowing libraries to copy and format-shift between DRM schemes, and further allowing end users to do the same privately. If adopted, some of the acrimony may decrease. Although DRM is prevalent for Internet music, some Online music stores such as eMusic, Audio Lunchbox, Dogmazic, Amazon and Anthology recordings do not use DRM. Major labels have begun releasing more online music without DRM. Eric Bangeman suggests in Ars Technica that this is because the record labels are "slowly beginning to realize that they can't have DRMed music and complete control over the online music market at the same time... One way to break the cycle is to sell music that is playable on any digital audio player. eMusic does exactly that, and their surprisingly extensive catalog of non-DRMed music has vaulted it into the number two online music store position behind the iTunes Store." 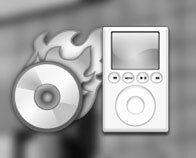 Apple's Steve Jobs has called on the music industry to eliminate DRM in an open letter titled Thoughts on Music. Apple's iTunes store will start to sell DRM-free 256 kbit/s (up from 128 kbit/s) music from EMI for a premium price (this has since reverted to the standard price). In March of 2007, Musicload.de, one of Europe's largest online music retailers, announced their position strongly against DRM. In an open letter, Musicload stated that three out of every four calls to their customer support phone service are as a result of consumer frustration with DRM.